If one hundred years ago, you told a conductor about future trains running at a speed of more than 400 km/h, he might have declared yourself legally insane. 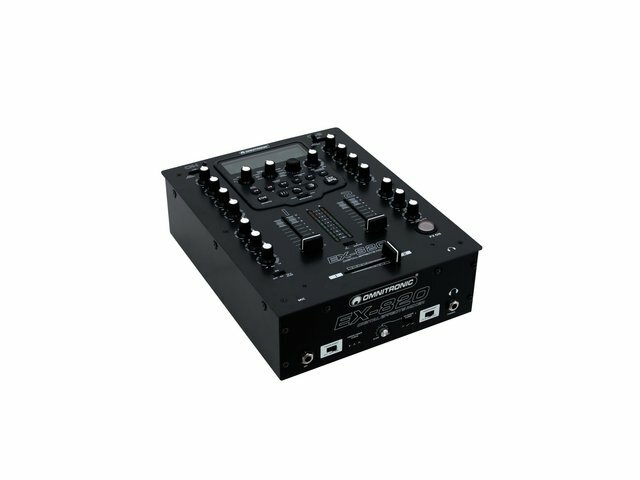 The same had happened when telling a DJ twenty years ago, that today, there will be small mixers, that enable not only mixing of digital audio files of computers, but also overlaying of effects on songs and thus change and design them individually. 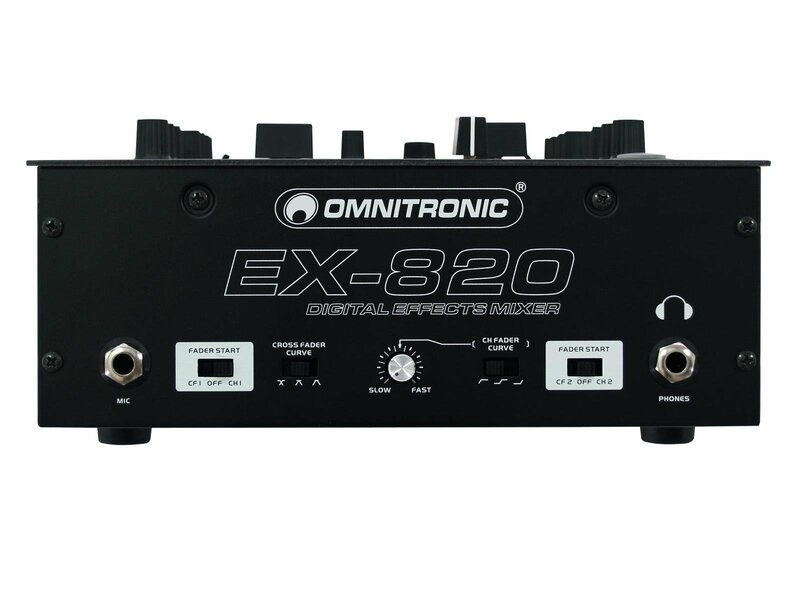 But technological progress has made achievements such as the TGV or our OMNITRONIC EX-820 come true. 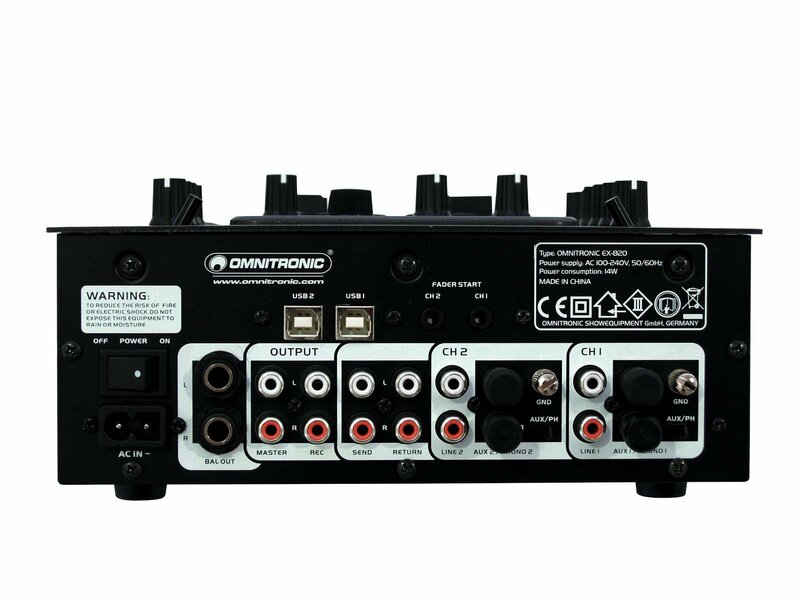 The latter is, by the way, not only convinces due to its USB port or its digital effects, like for example Echo, Auto Pan or Flanger. By no means. 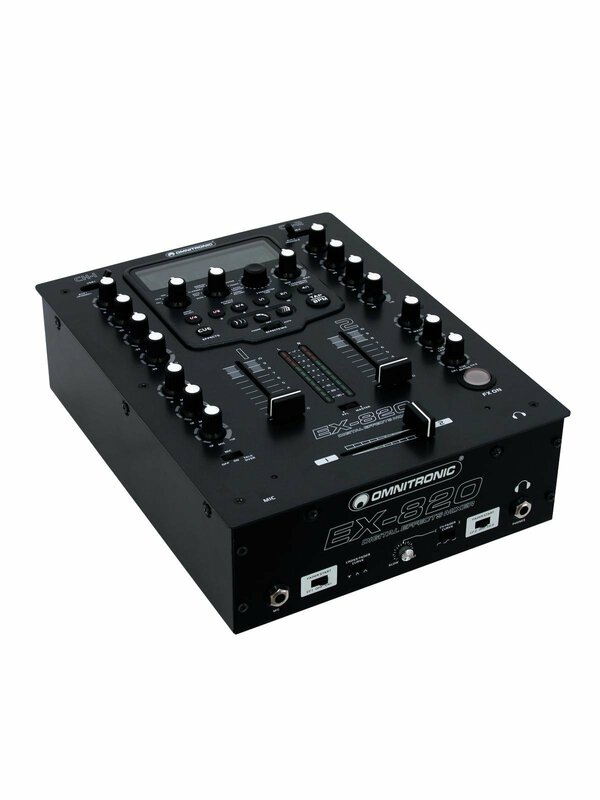 The appeal of this mixer lies also in the two full duplex USB ports, which enable simultaneous recording and playback, and in the switched-mode power supply of course. 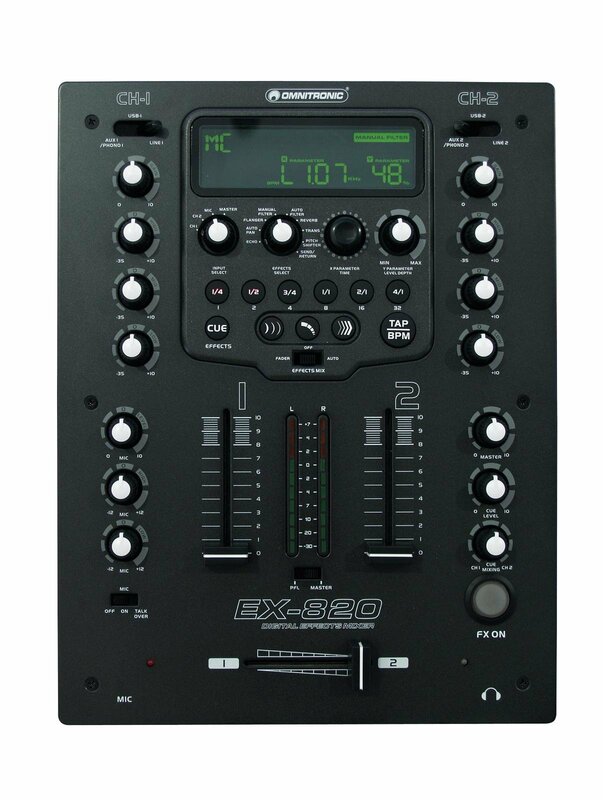 Simply a reliable and low-priced unit that is definitely ready for intensive DJ-ing and will inspire all mixing acrobats of today.